A participant in Launch League Akron's SPARK AK event presents his pitch for a new start-up. 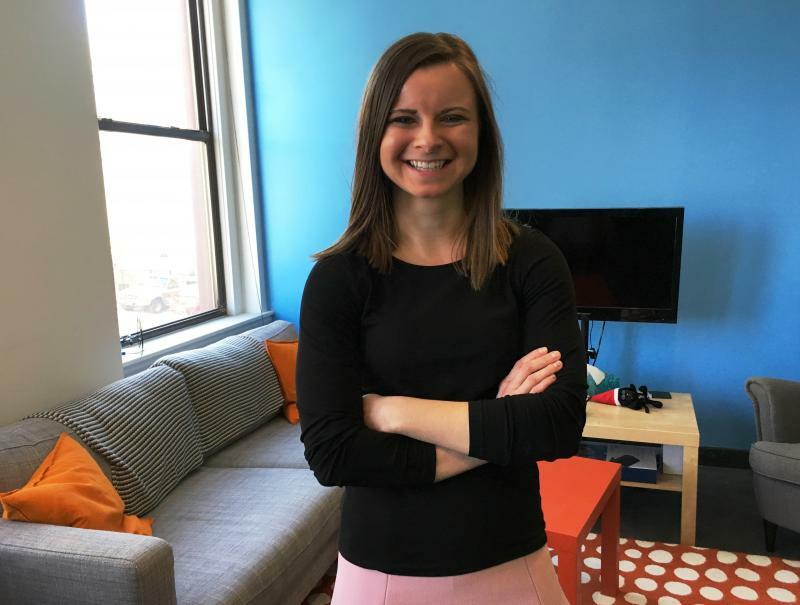 Courtney Gras is executive director of Launch League and founder of Design Flux Technologies. 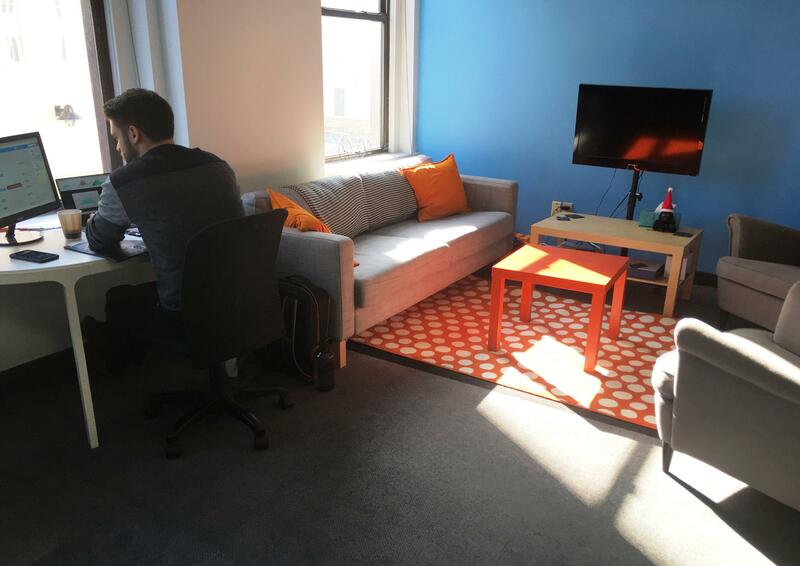 Sunlight fills the lounge space of Akron's co-working space, OSC Tech Labs. Today’s entrepreneurs are developing new models for launching a business. There’s more emphasis on collaboration than ever before. And a new group in Akron is working to bring together the elements entrepreneurs need to succeed. In this week’s Exploradio, WKSU’s Jeff St.Clair looks at how Launch League is feeding Akron’s start-up ecosystem. After working four years in corporate finance and a stint as a Wall Street equity analyst, Nick Petroski felt ready for a change. 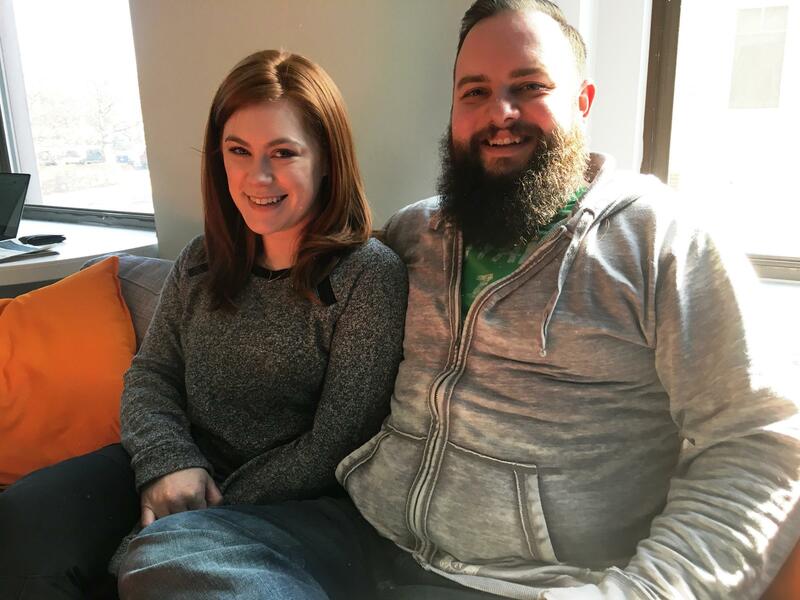 Nick Petroski and wife Meghan Goetz together run OSC Tech Lab, a co-working space in downtown Akron. He wanted to collaborate instead of compete with coworkers. He wanted a more creative work environment. So in 2014 he hung up his suit, grew a big, bushy beard and opened OSC Tech Lab, a co-working space in a vintage Akron office building. “People drop in and work out of here. They’re consultants, or freelancers or remote workers, and they’re just hanging out and getting a lot of work done almost by accident." Some people sit at desks; others stand near computers stacked on giant Lego blocks. Sunlight fills a cozy lounge with couches and video-game counsels. It’s Petroski’s dream of a co-working playground. Petroski then decided to build on the collaborative vibe by co-founding a group dedicated to helping start-ups in Akron get off the ground. Launch League provides something that was missing in Akron, he says, an opportunity for people with an idea for a start-up to meet with mentors and collaborators, along with investors who might want to fund a new venture. 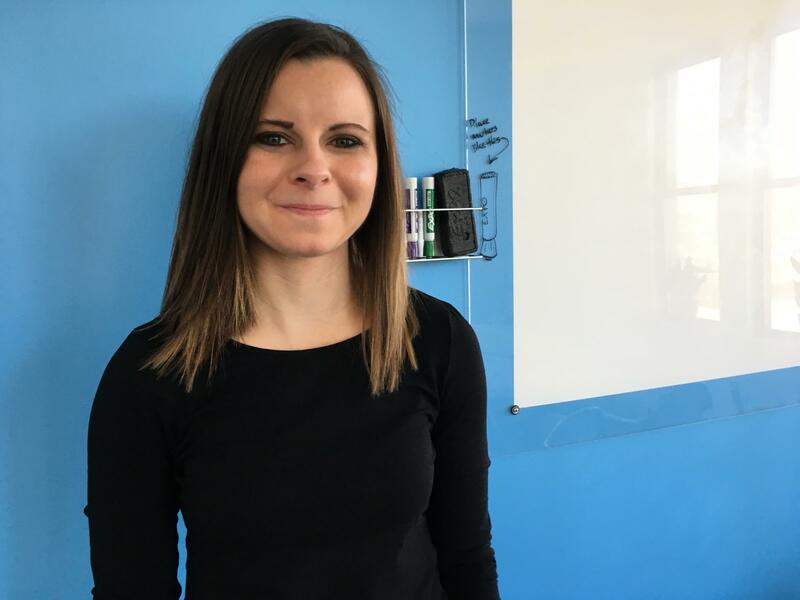 Courtney Gras is executive director of Launch League, a professional organization in Akron that brings together people interested in fostering start-ups. 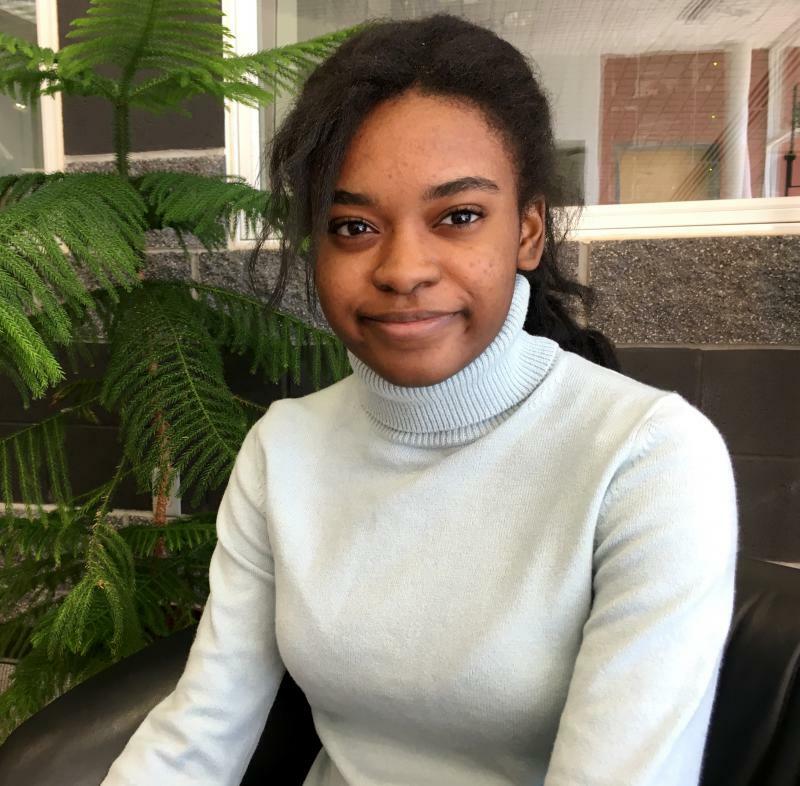 Petroski recently brought in an entrepreneur to help run Launch League who, at the age of 22, had founded her own business. Courtney Gras as a student at the University of Akron developed a device to control vehicle batteries. She then worked for NASA, and now at the age of 28 is executive director of Launch League. Her goal is to encourage other young entrepreneurs to stay here. Another goal is to give would-be entrepreneurs a chance to test out an idea and give them the boost they need to make it happen. Gras says Launch League’s SPARK AK event takes the bite out of a shark-tank-style business competition by bringing people into the co-working space for an intensive two days of start-up brainstorming. 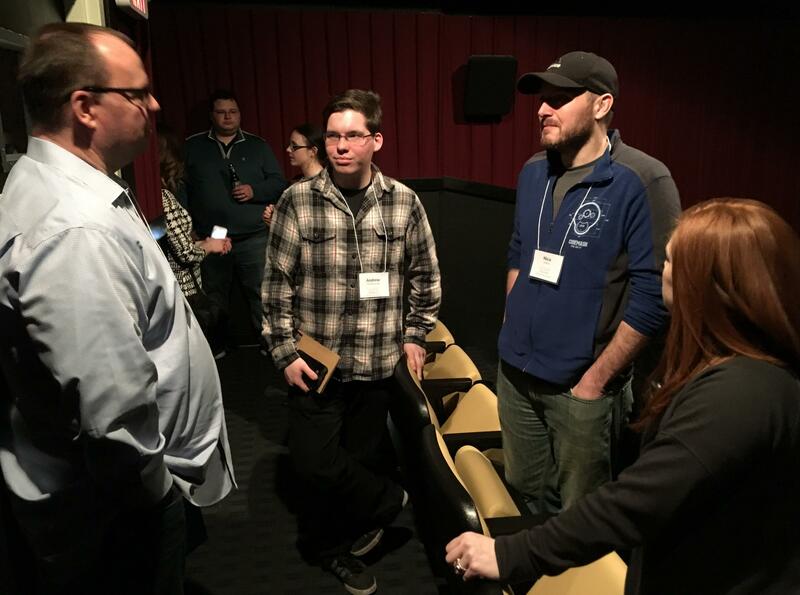 This year’s event culminated with presentations at the Nightlight Cinema in Akron. Five teams took part in this year’s SPARK AK with ideas that included an app called Shoebox, which replaces the shoebox where you keep your receipts and warranties. It's described as "a cloud-based app that allows to access that information in real time." 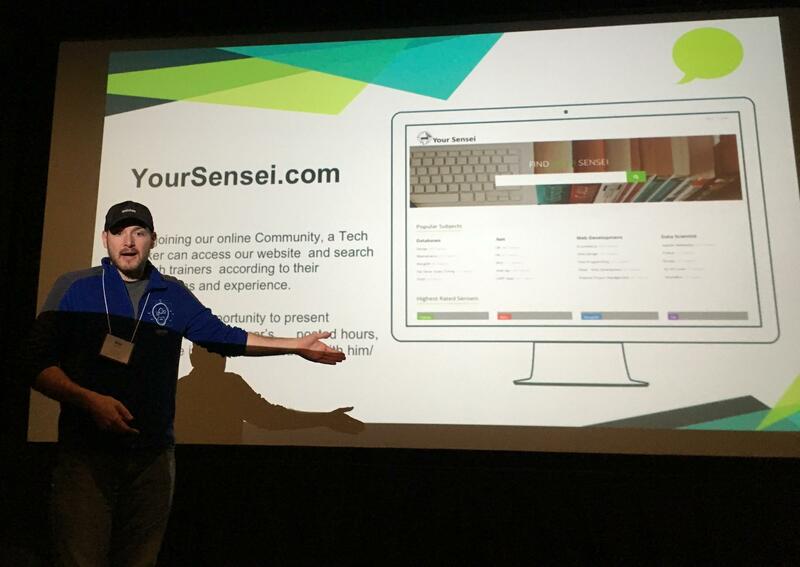 And a new approach to getting expert computer coding help called YourSensei.com. The four members of the YourSensei team had never met before but were able to fully flesh out a business concept in the two-day intensive session. Wastebits founder Dan Collins, left, consults with members of the YourSensei.com team, Andrew Thornborough, middle, and Nico Lindsey, right, along with OSC Tech Lab's Meghan Goetz at the Nightlight Cinema. Would-be sensei Nico Lindsey is a software developer looking to meet like-minded people and learn the ropes of how to launch a business. Dan Collins was one of the three judges at the Launch League SPARK AK event. Three years ago, he launched his own start-up Wastebits that tracks industrial waste and is now used by thousands of companies. His advice for would-be entrepreneurs? “Don’t be afraid to bootstrap. Don’t be afraid to work for it,” says Collins. Entrepreneurship in Northeast Ohio needs a shot in the arm, according to a recent Kaufmann Foundation study which shows an historic slowing of start-ups in the region. Launch League’s Nick Petroski believes Akron has some of the elements needed for a healthy new- business environment, a diverse population and a strong university system, but are we there yet? “Right now, no. Akron does not have something to sustain a start-up ecosystem. That’s why we exist," says Petroski. Akron has had its ups and downs. And a new generation is seeing the potential of building a business and a life in the former rubber capital. You’re probably wearing one now. The zipper is a ubiquitous fashion accessory whose design has remained relatively unchanged since it was invented one hundred years ago. But in this week’s Exploradio, WKSU’s Jeff St.Clair meets a young entrepreneur who’s working on a new approach that could undo the zipper industry. An Akron entrepreneur will pitch his business on Shark Tank tonight. Evan Delahanty is the founder and CEO of Peaceful Fruits, a company which makes fruit leather out of acai berries. Delahanty was inspired by his time in the Peace Corps in South America and drew on his experiences there for his appearance on Shark Tank.